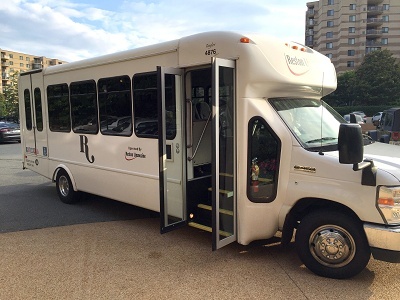 The Rotonda Concierge Shuttle Bus runs Monday-Friday from 6:00am-1:00pm. Morning runs are made to the Spring Hill Metro Station every 15 minutes. Afternoon runs are made to a variety of local stores for shopping. Pick-ups are made in front of each Building. The Concierge Shuttle Bus does not run on weekends or major holidays. Riders should be prepared to show their Rotonda Identification Card.